Welcome to the AFSA Chapter Corner Page. This is the place for the latest Chapter Leadership and Chapter Member highlights and information. ASSOCIATE: DoD Civilians, Civil Air Patrol, JROTC, Member Service Providers/Sponsors, Non-Military Supporters.Recruiting is vital to the continued viability, credibility and growth of our Association. ​Tools to assist chapters and recruiters can be found on this page, and include videos, fact sheets, talking points and frequently asked questions. For membership information click here. AFSA is recognized by the Air Force and DoD as a National Military Association and encourages participation to support AFSA. Download letters of support below. Intimate gatherings often means three things: family, food, and football. But for some of us, this can mean stress, depression, or feeling overwhelmed. Obligations or isolation can heighten these feelings until they are impossible to handle alone. Learn more here. The fact sheet has facts and figures about the Association. The fact sheet can be used as a one-pager to include in information packets. Download here. The Legislative Platform is the blueprint for AFSA's Legislative action. Download legislative issues below tailored to different audiences to include in talking to those groups. 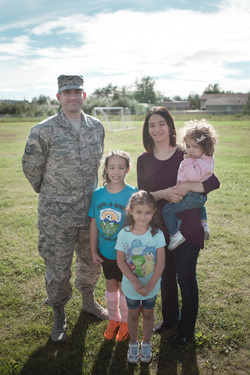 ​​AFSA Families are the heartbeat of our association and this is the place to share information to help with PCS orders, transfers, health, scholarship information and much more.